The value of judgements against commercial debtros increased by 554 per cent to almost €293 million. THE VALUE OF registered judgements against debtors rocketed in the first eleven months of 2012, increasing by 62 per cent to top the one billion euro mark, according to the latest figures by debt reporting agency StubbsGazette. In the eleven months to end November 2012, the number of consumer registered judgements fell slightly by 10.3 per cent but the value of those judgements has increased by 11.4 per cent to almost €644 million. This indicates that fewer consumers are defaulting on loans but those who are defaulting are more deeply indebted. The average consumer registered judgement over the period was just over €167,000. Over the same period judgements against commercial debtors fell significantly in volume by 32.6 per cent but the value of those judgements has increased by a staggering 554 per cent to almost €293 million. The figures show that fewer companies are defaulting on debts but those that are defaulting have average debts of over €188,000. For the eleven months to November 2012, the number of joint registered judgements, which tend to be where directors are jointly liable for business debt, have fallen slightly in volume by 6 per cent. However the value of those judgements has increased by 1,915 per cent to almost €78 million. This makes for an average debt of nearly €1.7 million. There wer 26 unregistered High Court judgements over the period, down from 29 in the same period last year. Twenty-one of those cases were catagorised as “consumer” but in reality, StubbsGazette said the vast majoroty of these related to personal guarantees on foot of the business enterprises. 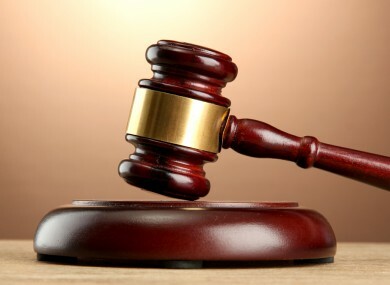 In terms of value, consumer unregistered High Court judgements saw an 86 per cent drop over the period while commercial High Court judgements meanwhile rose dramatically. While NAMA had the least number of judgements among the plaintiffs, the agency had the highest judgement value, moving from zero in 2011 to €569.4 million by November 2012. All of the other major plaintiffs, including the banks the Revenue are all down in volume and value, except for Credit Unions, with a 5 per cent increase in both value and volume. Email “Court registered judgements against debtors top €1 billion in 2012”. Feedback on “Court registered judgements against debtors top €1 billion in 2012”.